Nearly every major post-9/11 terrorism-related prosecution has involved a sting operation at the center of which is a government informant, The Nation magazine reports. The publication cites the findings of the Center on National Security at Fordham Law School. The Center has tracked 138 terrorism or national security prosecutions involving informants since 2001. Within a year of the 9/11 attacks, Bartosiewicz writes, the FBI reassigned nearly half of its field office positions formerly devoted to the ‘War on Drugs’ to the new ‘War on Terror.” It also launched 3,000 new counterterrorism investigations. Today, of an $8.1 billion budget, the FBI allocates $4.9 billion to intelligence and counterterrorism, “approximately $1.7 billion more than all other federal crimes combined,” the journalist reports. If Americans are not shocked that real criminal prosecutions are being scrapped by FBI Director Robert Mueller in favor of “terrorism” probes which may be cooked up by the FBI to feed the nation’s Islamophobic paranoia, perhaps they should be. Peter Mertens, leader of the Workers’ Party of Belgium, believes the Eurozone debt crisis is pushing member states towards “a very large number of social conflicts.” Mertens told RT that Europe faces three alternatives – saving the euro with “authoritarian measures by taking national sovereignty overnight to the European level”, breaking up into “two, three or four Europes”, or adopting a socialist model, “where banking system is public, where energy system is public, where there is democracy.” He believes Europe needs radical changes to its financial sector. As this article will demonstrate, the Israel Lobby is considerably more powerful and pervasive than other lobbies. Components of it, both individuals and groups, have worked underground, secretly and even illegally throughout its history, as documented by scholars and participants. And even though the movement for Israel has been operating in the U.S. for over a hundred years, most Americans are completely unaware of this movement and its attendant ideology – a measure of its unique influence over public knowledge. All this for a population that is considerably smaller than New Jersey. While Zionists considered such places as Argentina, Uganda, and Texas, they eventually settled on Palestine for the location of their proposed Jewish State, even though Palestine was already inhabited by a population that was 95 percent Muslims and Christians, who owned 99 percent of the land. As numerous Zionist diary entries, letters, and other documents show, Zionists planned to push out these non-Jews – financially, if possible; violently if necessary. In the 1880s groups advocating the setting up of a Jewish state began popping up around the United States. Emma Lazarus, the poet whose words would adorn the Statue of Liberty, promoted Zionism throughout this decade. A precursor to the Israeli flag was created in Boston in 1891. By the early 1890s organizations promoting Zionism existed in New York, Chicago, Baltimore, Milwaukee, Boston, Philadelphia, and Cleveland. Reports from the Zionist World Congress in Basle, which four Americans had attended, gave this movement a major stimulus, galvanizing Zionist activities in American cities that had large Jewish populations. In 1897-98 numerous additional Zionist societies were founded in the East and the Midwest. In 1898 the first annual conference of American Zionists convened in New York on the 4th of July, where they formed the Federation of American Zionists (FAZ). By 1910 the number of Zionists in the U.S. approached 20,000 and included lawyers, professors, and businessmen. Even in its infancy, when it was still considered relatively weak, Zionism was becoming a movement to which Congressmen listened, particularly in the eastern cities. The movement continued to expand, and by 1914 several additional Zionist groups had cropped up. The religious Mizrachi faction was formed in 1903, the Labor party in 1905 and Hadassah, the women’s Zionist organization, in 1912. By 1922 there were 200,000 Zionists in the U.S. and by 1948 this had grown to almost a million. From early on Zionists actively pushed their agenda in the media, one Zionist organizer proudly proclaimed in 1912 “the zealous and incessant propaganda which is carried on by countless societies.” The Yiddish press from a very early period espoused the Zionist cause. By 1923 only one New York Yiddish newspaper failed to qualify as Zionist. Yiddish dailies reached 535,000 families in 1927. Unlike politicians, State Department officials not dependent on votes and campaign donations, and charged with recommending and implementing policies beneficial to all Americans, not just one tiny sliver working on behalf of a foreign entity – were less enamored with Zionists, who they felt were trying to use the American government for a project damaging to the United States. In memo after memo, year after year, U.S. diplomatic and military experts pointed out that Zionism was counter to both U.S. interests and principles. Despite that small setback in 1912, Zionists` garnered a far more significant victory in the same year; one that was to have enormous consequences both internationally and in the United States and that was part of a pattern of influence that continues through today. In 1912 prominent Jewish American attorney Louis Brandeis, who was to go on to become a Supreme Court Justice, became a Zionist. Within two years he became head of the international Zionist Central Office, which had moved to America from Germany a little while before. While Brandeis is an unusually well known Supreme Court Justice, very few Americans are aware of the significant role he played in World War I and of his connection to Palestine. An early recruiter explained: “An organization which has the aims we have must be anonymous, must work silently, and through education and infection rather than through force and noise.” He wrote that to work openly would be “suicidal” for their objective. Brandeis was a close personal friend of President Woodrow Wilson and used this position to advocate for the Zionist cause, at times serving as a conduit between British Zionists and the president. In 1916 President Wilson named Brandeis to the Supreme Court. Although Brandeis officially resigned from all his private clubs and affiliations, including his leadership of Zionism, behind the scenes he continued this Zionist work, receiving daily reports in his Supreme Court chambers and issuing orders to his loyal lieutenants. As historian Donald Neff writes, “Through his lieutenants, he remained the power behind the throne.” One of these lieutenants was future Supreme Court Justice Felix Frankfurter, another particularly well-regarded justice, and another whose Zionist activities have largely gone unnoted. Unlike some wars, most analysts consider WWI a pointless conflict that resulted from diplomatic entanglements rather than some travesty of justice or aggression. Yet, it was catastrophic to a generation of Europeans, killing 14 million people. Americans today are aware of these facts. What few know is that Zionists pushed for the U.S. to enter the war on Britain’s side as part of a deal to gain British support for their colonization of Palestine. They then turned to Britain, which was also initially less than enthusiastic. Famous English Arabists such as Gertrude Bell pointed out that Palestine was Arab and that Jerusalem was sacred to all three major monotheistic faiths. However, once the British were embroiled in World War I, and particularly during 1916, a disastrous year for the Allies, Zionists were able to play a winning card. Zionist leaders promised the British government that Zionists in the U.S. would push America to enter the war on the side of the British, if the British promised to support a Jewish home in Palestine afterward. The letter then qualified this somewhat by stating that it should be “clearly understood that nothing shall be done which may prejudice the civil and religious rights of existing non-Jewish communities in Palestine.” The “non-Jewish communities” were 90 percent of Palestine’s population at that time, vigorous Zionist immigration efforts having slightly expanded the percentage of Jews living in Palestine by then. The letter, while officially signed by British Foreign Minister Lord Balfour, was actually written by Leopold Amery, a British official who, it came out later, was a secret and fervent Zionist. While this letter was a less than ringing endorsement of Zionism, Zionists considered it a major breakthrough as it cracked open a door that they would later force wider and wider open. American career Foreign Service Officer Evan M. Wilson, who had served as Minister-Consul General in Jerusalem, writes that the Balfour declaration “…was given to the Jews largely for the purpose of enlisting Jewish support in the war and of forestalling a similar promise by the Central Powers [Britain’s enemies in World War I]”. In 1917 President Wilson, who had been voted into office by Americans who believed his promises that he would keep them out of the war, changed course and plunged the U.S. into a tragic and pointless European conflict in which hundreds of thousands were killed and injured. Over 1,200 American citizens who opposed the war were rounded up and imprisoned, some for years. After the war, the victors met in a peace conference and agreed to a set of Peace Accords that addressed, among many issues, the fate of Ottoman Empire’s Middle East territories. The Allies stripped the defeated Empire of its Middle Eastern holdings and divided them between Britain and France, which were to hold them under a “mandate” system until the populations were “ready” for self-government. Britain got the mandate over Palestine. Zionists, including Brandeis, Felix Frankfurter, the World Zionist Organization, and an American delegation, went to the conference to lobby for a Jewish “home” in Palestine and to push for Balfour wording to be incorporated in the peace accords. The official U.S. delegation to the Peace Conference also contained a number of highly placed Zionists. Distinguished American Christians posted in the Middle East, who consistently supported self-determination, went to Paris to oppose Zionists. Numerous prominent Christian leaders in the U.S. – including two of the most celebrated pastors of their day, Harry Emerson Fosdick and Henry Sloane Coffin – also opposed Zionism. However, as a pro-Israel author notes, they were “simply outgunned” by Zionists. The most prominent American in the Middle East at the time, Dr. Howard Bliss, President of Beirut’s Syrian Protestant College (later to become the American University of Beirut), traveled to Paris to urge forming a commission to determine what the people of the Middle East wanted for themselves, a suggestion that was embraced by the U.S. diplomatic staff in Paris. Princeton Professor Philip Brown, in Cairo for the YMCA, provided requested reports to the U.S. State Department on what Zionism’s impact would be on Palestine. He stated that it would be disastrous for both Arabs and Jews and went to Paris to lobby against it. William Westermann, director of the State Department’s Western Asia Division, which covered the region, similarly opposed the Zionist position. He wrote that “[it] impinges upon the rights and the desires of most of the Arab population of Palestine.” Westermann and other US diplomats felt that Arab claims were much more in line with Wilson’s principles of self-determination and circulated Arab material. President Wilson decided to send a commission to Palestine to investigate the situation in person. After spending six weeks in the area interviewing both Jews and Palestinians, the commission, known as the King-Crane commission, recommended against the Zionist position of unlimited immigration of Jews to make Palestine a distinctly Jewish state. Zionists through Brandeis dominated the situation, however, and the report was suppressed until after the Peace Accords were enacted. As a pro-Israel historian noted, “with the burial of the King-Crane Report, a major obstacle in the Zionist path disappeared.” The US delegation was forced to follow Zionist directives. The idea behind Zionism was to create a state where Jews worldwide could escape anti-Semitism. Perhaps the most extreme case of Zionist exploitation of anti-Semitism to further their cause came during the rise of Adolf Hitler. Historians have documented that Zionists sabotaged efforts to find safe havens for Jewish refugees from Nazi Germany in order to convince the world that Jews could only be safe in a Jewish state. When FDR made efforts in 1938 and 1943 to provide havens for Nazi refugees, Zionists opposed these projects because they did not include Palestine. “Jews and Arabs have enjoyed the same rights and privileges for 1,000 years and do not regard themselves as a distinctive separate part of this nation,” the rabbi declared. Zionists worked to change that by covertly attacking Iraqi Jews so as to induce them to “flee” to Israel. Zionists planted bombs in synagogues and in an American building “in an attempt to portray the Iraqis as anti-American and to terrorize the Jews,” according to Author and former CIA officer Wilbur Crane Eveland. The immediate precursor to today’s pro-Israel lobby began in the early 1940s under the leadership of Rabbi Abba Hillel Silver, originally from Lithuania. He created the American Zionist Emergency Council (AZEC), which by 1943 had acquired a budget of half a million dollars at a time when a nickel bought a loaf of bread. In addition to this money, Zionists had become influential in creating the United Jewish Appeal in 1939, giving them access to the organization’s gargantuan financial resources: $14 million in 1941, $150 million by 1948. This was four times more than Americans contributed to the Red Cross. AZEC instructed activists to “make direct contact with your local Congressman or Senator” and to go after union members, wives and parents of servicemen, and Jewish war veterans. AZEC provided activists with form letters to use and schedules of anti-Zionist lecture tours to oppose and disrupt. A measure of its power came in 1945 when Silver disliked a British move in 1945 that would be harmful to Zionists. AZEC booked Madison Square Garden, ordered advertisements, and mailed 250,000 announcements – the first day. By the second day they had organized demonstrations in 30 cities, a letter-writing campaign, and convinced 27 U.S. Senators to give speeches. Grassroots Zionist action groups were organized with more than 400 local committees under 76 state and regional branches. AZEC funded books, articles and academic studies; millions of pamphlets were distributed. There were massive petition and letter writing campaigns. AZEC targeted college presidents and deans, managing to get more than 150 to sign one petition. Berger and other anti-Zionist Jewish Americans tried to organize against “the deception and cynicism with which the Zionist machine operated,” but failed to obtain anywhere near their level of funding. Among other things, would-be dissenters were afraid of “the savagery of personal attacks” anti-Zionists endured. When it was unclear that President Harry Truman would support Zionism, Cellar and a committee of Zionists told him that they had persuaded Dewey to support the Zionist policy and demanded that Truman also take this stand. Cellar reportedly pounded on Truman’s table and said that if Truman did not do so, “We’ll run you out of town. Richard Stevens, author of American Zionism and U.S. Foreign Policy, 1942-1947, reports that Zionists infiltrated the boards of several Jewish schools that they felt didn’t sufficiently promote the Zionist cause. When this didn’t work, Stevens writes, they would start their own pro-Zionist schools. Alfred Lilienthal, who had worked in the State Department, served in the U.S. Army in the Middle East from 1943-45, and became a member of the anti-Zionist American Council for Judaism, reports that monthly sales of Zionist books totaled between 3,000 and 4,000 throughout 1944-45. He reports that Zionists subsidized books by non-Jewish authors that supported the Zionist agenda. They would then promote these books jointly with commercial publishers. Several of them became best sellers. Silver and other Zionists played a significant role in creating Christian support for Zionism, a project Brandeis encouraged. Secret Zionist funds, eventually reaching $150,000 in 1946, were used to revive an elitist Protestant group, the American Palestine Committee. This group had originally been founded in 1932 by Emanuel Neumann, a member of the Executive of the Zionist Organization. The objective was to organize a group of prominent (mainly non-Jewish) Americans in moral and political support of Zionism. Frankfurter was one of the main speakers at its launch. By the end of World War II the Christian Council on Palestine had grown to 3,000 members and the American Palestine Committee boasted a membership of 6,500 public figures, including senators, congressmen, cabinet members, governors, state officers, mayors, jurists, clergymen, educators, writers, publishing, and civic and industrial leaders. Historian Richard Stevens explains that Christian support was largely gained by exploiting their wish to help people in need. Stevens writes that Zionists would proclaim “the tragic plight of refugees fleeing from persecution and finding no home,” thus linking the refugee problem with Palestine as allegedly the only solution. Few if any of these Christian supporters had any idea that the creation of the Jewish state would entail a massive expulsion of hundreds of thousands of the non-Jews who made up the large majority of Palestine’s population, creating a new and much longer lasting refugee problem. Nor did they learn that during and after Israel’s founding 1947-49 war, Zionist forces attacked a number of Christian sites. Donald Neff, former Time Magazine Jerusalem bureau chief and author of five books on Israel-Palestine, reports in detail on Zionist attacks on Christian sites in May 1948, the month of Israel’s birth. Neff tells us that a group of Christian leaders complained that month that Zionists had killed and wounded hundreds of people, including children, refugees and clergy, at Christian churches and humanitarian institutions. As early Zionists in the U.S. and elsewhere pushed for the creation of a Jewish state, Zionists in Palestine simultaneously tried to clear the land of Muslim and Christian inhabitants and replace them with Jewish immigrants. This was a tall order, as Muslims and Christians accounted for more than 95 percent of the population of Palestine. Zionists planned to try first to buy up the land until the previous inhabitants had emigrated; failing this, they would use violence to force them out. This dual strategy was discussed in various written documents cited by numerous Palestinian and Israeli historians. As this colonial project grew, the indigenous Palestinians reacted with occasional bouts of violence; Zionists had anticipated this since people usually resist being expelled from their land. By the eve of the creation of Israel, the Zionist immigration and buyout project had increased the Jewish population of Palestine to 30 percent and land ownership from 1 percent to approximately 6 percent. This was in 1947, when the British at last announced that they would end their control of Palestine. Britain turned the territory’s fate over to the United Nations. Instead, Zionists pushed for a General Assembly resolution to give them a disproportionate 55 percent of Palestine. (While they rarely announced this publicly, their stated plan was to later take the rest of Palestine. For example, the director of the State Department’s Office of Near Eastern and African Affairs consistently recommended against supporting a Jewish state in Palestine. The director, named Loy Henderson, warned that the creation of such a state would go against locals’ wishes, imperil US interests and violate democratic principles. Zionists attacked Henderson virulently, calling him “anti-Semitic,” demanding his resignation, and threatening his family. They pressured the State Department to transfer him elsewhere; one analyst describes this as “the historic game of musical chairs” in which officials who recommended Middle East policies “consistent with the nation’s interests” were moved on. He wasn’t exaggerating. Official after official and agency after agency opposed Zionism. And American Vice Consul William J. Porter foresaw one last outcome of the “partition” plan: that no Arab state would actually ever come to be in Palestine. Truman wrote in his memoirs: “I do not think I ever had as much pressure and propaganda aimed at the White House as I had in this instance.” There were now about a million dues-paying Zionists in the U.S.
Then, as now, in addition to unending pressure there was financial compensation, Truman reportedly receiving a suitcase full of money from Zionists while on his train campaign around the country. One person key in such Zionist financial connections to Truman was Abraham Feinberg, a wealthy businessman who was later to play a similar role with Kennedy and Johnson. Behind the scenes Niles was regularly briefed by the head of the Washington Office of the Zionist Organization of America (ZOA). When it was discovered that top secret information was being passed on to the Israeli government, Chairman of the Joint Chiefs of Staff General Omar Bradley told Truman he would have to choose between Bradley and Niles. Not long after, Niles resigned and went on a visit to Israel. Evan M Wilson, a career diplomat who had been U.S. Consul General in Jerusalem, later wrote that Truman had been largely motivated by “domestic political considerations.” At least one of Truman’s key policy speeches had been drafted primarily by the Washington representative of the Jewish Agency. When it was clear that, despite US support, the partition recommendation did not have the two-thirds support of the UN General Assembly required to pass, Zionists pushed through a delay in the vote. They then used this period to pressure numerous nations into voting for the recommendation. A number of people later described this campaign. Twenty-four hours later, after intense Zionist pressure, the Philippine delegate voted in favor of partition. But let us take a closer look at the violence that followed the UN recommendation. The passing of the partition resolution in November 1947 triggered the violence that State Department and Pentagon analysts had predicted and for which Zionists had been preparing. There were at least 33 massacres of Palestinian villages, half of them before a single Arab army joined the conflict. Zionist forces were better equipped and had more men under arms than their opponents and by the end of Israel’s “War of Independence” over 750,000 Palestinian men, women, and children were ruthlessly expelled. Zionists had succeeded in the first half of their goal: Israel, the self-described Jewish State, had come into existence. The massacres were carried out by Zionist forces, including Zionist militias that had engaged in terrorist attacks in the area for years preceding the partition resolution. One Palestinian woman testified that a man shot her nine-month-pregnant sister and then cut her stomach open with a butcher knife. One of the better-documented massacres occurred in a small, neutral Palestinian village called Deir Yassin in April 1948 – before a single Arab army had joined the conflict. A Swiss Red Cross representative was one of the first to arrive on the scene, where he found 254 dead, including 145 women, 35 of them pregnant. Witnesses reported that the attackers lined up families – men, women, grandparents and children, even infants – and shot them. The Deir Yassin attack was perpetrated by two Zionist militias and coordinated with the main Zionist forces, whose elite unit participated in part of the operation. The heads of the two militias, Menachem Begin and Yitzakh Shamir, later became Prime Ministers of Israel. Approximately six months later, Begin (who had also publicly taken credit for a number of other terrorist acts, including blowing up the King David Hotel in Jerusalem, killing 91 people) came on a tour of America. The tour’s sponsors included famous playwright Ben Hecht, a fervent Zionist who applauded Irgun violence, and eventually included 11 Senators, 12 governors, 70 Congressmen, 17 Justices, and numerous other public officials. The State Department, fully aware of his violent activities in Palestine, tried to reject Begin’s visa but was overruled by Truman. Two of the leaders were Yitshaq Ben-Ami (father of Jeremy Ben-Ami, founder of today’s J-Street) and “Peter Bergson,” the pseudonym of the senior Irgun officer working outside Palestine, Hillel Kook. The group is often called the Bergson Group. Among their numerous activities they lobbied Congress and the White House, organized a march on Washington, D.C. of 500 Rabbis, placed full-page ads in newspapers around the U.S., and produced a pageant “We Will Never Die!” celebrating the Jewish contribution to Western civilization, written by Ben Hecht, directed by Moss Hart, featuring music by Kurt Weil, and starring Edward G. Robinson. Forty thousand attended the extravaganza’s New York performances. It then went on to play in most of America’s largest cities. While the various organizations created by the Irgun Delegation frequently pushed for rescuing European Jews, one of the major demands was for the creation of a “Jewish Army of Stateless and Palestinian Jews.” This was a goal that Revisionist Zionists had sought even before the Nazi holocaust had begun and is believed to have had a mixed agenda. Critics point out that the delegation did not manage to rescue any Jews during the Nazi holocaust. Perhaps his most significant accomplishment was to devise an ideology that merged a kabalistic version of religious Judaism with political Zionism, founding an extremist religious Zionism that continues today. In addition to spanning the Jewish religious-secular continuum, the Irgun Delegation spanned the political spectrum from left to right. Its historian Judith Baumel writes that it “evinced many of the unique characteristics of Eastern European protofascism” while also forming partnerships with communists and Jews who belonged to left-wing American groups. Another terrorist front group, the Political Action Committee for Palestine, was formed by Rabbi Baruch Korff, who indirectly admitted that the financing of terrorism was among its activities. In actuality, Korff did more than just finance terrorism. In 1946 British intelligence uncovered plots by Jewish terrorists to assassinate the British foreign minister. Details were heavily censored from the public for many years, but eventually it came out that Korff was part of this. In 1947 Rabbi Korff and his group planned to drop explosive bombs on the British foreign office, accompanied by 10,000 Stern Gang leaflets. The plot was foiled by a young American aviator they had tried to recruit, Reginald Gilbert, promising him “lucrative jobs” after the mission was completed. Gilbert, who had flown 136 combat missions over Europe, shooting down three German planes and damaging seven, informed the American Embassy, and then worked with Scotland Yard and the Paris police to have the would-be assassins arrested. French police, who said they “feared for the flier’s life if the Stern gang ever caught up with him,” flew him to London until he could return to the U.S. Although almost no one remembers this plot, it was headline news at the time in newspapers across the United States, though many sanitized versions mentioned only the leaflets. Korff then came up with various stories. At one point he claimed that Gilbert had been the guilty party. Next, he and Peter Bergson claimed that the plot was a British “frameup” and that Gilbert was a British agent. Later, Rabbi Korff became a close friend and strong supporter of President Richard Nixon, who called him “my rabbi.” Korff is reported to have influenced Nixon’s strong support for Israel and efforts to allow Soviet Jews to emigrate. Korff served as a chaplain for the Massachusetts Department of Mental Health for 21 years. He later acted as a consultant to Brown University in conjunction with the school’s acquisition of his archives. According to the London Independent, Korff had many supporters in high places in Israel, including Ytzahak Rabin and Golda Meir. Another American front group for illegal Zionist activities was known as the “Sonneborn Institute,” named after its founder, Rudolf G. Sonneborn, scion of a wealthy German-Jewish family from Baltimore. Sonneborn had first met Zionist leader and future Israeli Prime Minister David Ben Gurion in 1919 when Sonneborn, at the behest of family friend, Supreme Court Justice Brandeis, had traveled to the Versailles peace conference as secretary of a Zionist delegation and afterward gone on a tour of Palestine. In 1945 Sonneborn and Ben Gurion hosted a meeting of 17 well-connected guests at Sonneborn’s Manhattan penthouse. They came from Los Angeles, Toronto, Miami, Birmingham, Philadelphia, Pittsburgh, Cleveland, Columbus, Minneapolis, St. Louis, Newark, New Haven and New York. One was a rabbi, five were lawyers, and the others were highly successful businessmen. The purpose, Ben Gurion explained, was to create a secret underground organization that would be the American arm of the Zionist paramilitary in Palestine, the Haganah. The organization was to have a representative in at least 35-40 industry groups, and in one month alone there were meetings in Memphis, Ohio, New Jersey, Cedar Rapids, Iowa City, Baton Rouge, Dallas, Washington DC, and 40 more were scheduled. Their objective was to raise money and support “for purposes which could not be publicized or even fully disclosed.” A variety of front groups were created for military arms and equipment smuggling of everything from machine guns to B-17s. Zionist youth groups were organized, the members sometimes helping load guns onto boats headed for Palestine. US authorities tried to stop what were not only illegal but also extremely damaging activities. A similar underground campaign was operating in Europe. Zionist cadres infiltrated Europe’s displaced person’s camps to orchestrate a clandestine operation to funnel people to Palestine. The American public, however, was led to believe that European Jews desperately wished to go to Palestine, and the well-organized and well-funded operation behind this (including $25 million from the Jewish Joint Distribution Committee) was hidden from view. A British general who had been Eisenhower’s deputy credited with the buildup for the Normandy invasion, Sir Frederick Morgan, publicly noted that many of the refugees were well dressed and well fed – “their pockets bulging with money” – and concluded that something must be encouraging their travels. Another secret group working on behalf of Zionism was formed in 1942 by Israel M. Sieff, a British clothing magnate who was temporarily living in the U.S. While its existence was never openly acknowledged, it grew into the secret back channel through official Washington during the last years of FDR’s presidency and the critical first years of Truman’s. When State Department and English diplomats, concerned that Zionist activities were causing serious harm to the war effort, were about to issue a “reverse Balfour” declaration on July 27, 1943 calling on these activities to cease, the Sieff group, Felix Frankfurter, Henry Morgenthau, Jr., David Niles, Bernard Baruch, et al took emergency, and successful, action to block it. The number of refugees continued to grow, reaching at least three-quarters of a million. U.S. Diplomats in Cairo and Amman described a disastrous situation in which the “almost nonexistent resources” of Arab countries inundated by desperate, starving Palestinian refugees were stretched practically to the breaking point. Meanwhile, Israel had acquired properties worth at least $480 million in 1947 dollars; one estimate put the figure at $35 billion in 1990 dollars. “In the process of ‘Judaizing’ Palestine, numerous convents, hospices, seminaries, and churches were either destroyed or cleared of their Christian owners and custodians. In one of the most spectacular attacks on a Christian target, on May 17, 1948, the Armenian Orthodox Patriarchate was shelled with about 100 mortar rounds—launched by Zionist forces from the already occupied monastery of the Benedictine Fathers on Mount Zion. Truman, whose caving in to Zionist pressures had helped create the disaster, now tried to convince Israel to allow the refugees to return to their homes. His main representative working on this was Mark Ethridge, former publisher of the Louisville Courier Journal. When the Saturday Evening Post published an article by Milton Mayer that criticized Jewish nationalism (and carried two other articles giving opposing views), Zionists organized what was probably the worst attack on the Post in its long history. Author Christison records that from the moment partition was voted by the UN, “the press played a critical role in building a framework for thinking that would endure for decades.” She writes that shortly before May 15, 1948, the scheduled beginning of the Jewish State, a total of 24 U.S., British, and Australian reporters converged on Palestine. Bookstores were inundated with books espousing the Zionist point of view to enthusiastic press reviews. Conversely, the few books published that dared to provide a different perspective were given scathing reviews, when they were reviewed at all. In fact, Professor Burrows’ life history showed the opposite. He had been one of the organizers and Vice-President of the National Committee to Combat Anti-Semitism and had long been active in the interfaith movement in New Haven. He also stated: “Homes must be found in this country or elsewhere for Jews desiring to become citizens of other countries that Israel, and their religious, civic, social, and economic rights must be guaranteed. Another author who described the misery of Palestinian refugees (as well as the suffering of Jewish suffering in Israel), Willie Snow Ethridge, was similarly attacked by pro-Israel reviewers. When she was invited to address the Maryland Teachers Association and chose to speak on her book, Journey to Jerusalem, she was told she must speak on a different subject. The secretary of the association explained that so much pressure had been brought on him that he would lose his job if she didn’t changed to another topic. America’s most famous female journalist of the time also attempted valiantly, but unsuccessfully, to tell Americans about Palestinian refugees. Her column was in newspapers all over the country, her radio program listened to by tens of millions of Americans, she had been married to one of America’s most famous novelists, graced the cover of Time magazine, been profiled by America’s top magazines and was so well-known that “Woman of the Year,” a Hollywood movie featuring Kathryn Hepburn and Spencer Tracey and a Broadway play starring Lauren Bacall, were based on Thompson. She had been the first journalist to be expelled by Adolph Hitler and had raised the alarm against the Nazis long ahead of most other journalists. She had originally supported Zionism, but then after the war had visited the region in person. She began to speak about Palestinian refugees, narrated a documentary about their plight, and condemned Jewish terrorism. She was dropped by the New York Post, whose editor Ted Thackry, and his wife, Dorothy Schiff, were said by other Post editors to be close to the Irgun and Menachem Begin. Begin, the Irgunists, the Stern Gang and other Zionists organizations had what was termed “inordinate access” to the Post’s editorial board. Thompson’s mail was filled with ferocious accusations that she was “anti-Semitic.” One such correspondent told her that her “filthy incitements to pogroms” would not be tolerated by New York’s Jews. Before long, her column and radio programs, her speaking engagements, and her fame were all gone. Today, she has largely been erased from history. In the coming decades other Americans were similarly written out of history, forced out of office, lives and careers destroyed; history distorted, re-written, erased; bigotry promoted, supremacy disguised, facts replaced by fraud. Very few people know this history. The excellent books that document it are largely out of print, their facts and very existence virtually unknown to the vast majority of Americans, even those who focus on the Middle East. Instead, false theories have been promulgated, mendacious analyses promoted, chosen authors celebrated, others assigned to oblivion. Perhaps by rediscovering the past, we’ll gain control of the present, and save the future. Abu-Sitta, Salman H. Atlas of Palestine, 1917-1966. London: Palestine Land Society, 2010. Print. Alexander, Michael. Jazz Age Jews. Princeton, NJ: Princeton UP, 2001. Print. Web. 1 June 2012. <http://newspaperarchive.com/hagerstown-daily-mail/1947-09-09?tag=reginald+gilbert+german&rtserp=tags/german?py=1947&pf=reginald&pl=gilbert>. Ball, George W., and Douglas B. Ball. The Passionate Attachment: America’s Involvement with Israel, 1947 to the Present. New York: W.W. Norton, 1992. Print. Barrett, Mary. “In Memoriam: A Respectful Dissenter: CIA’s Wilbur Crane Eveland.” Washington Report on Middle East Affairs March (1990): n. pag. Print. Baumel-Schwartz, Judith Tydor. The “Bergson Boys” and the Origins of Contemporary Zionist Militancy. Syracuse, NY: Syracuse UP, 2005. Print. Beisner, Robert L. Dean Acheson: A Life in the Cold War. Oxford: Oxford UP, 2006. Print. Berger, Elmer. Memoirs of an Anti-Zionist Jew. Beirut: Institute for Palestine Studies, 1978. Print. Brownfeld, Allan. C. “Book Review: Jewish Fundamentalism in Israel.” Washington Report on Middle East Affairs March (2000): 105-06. Print. Burrows, Millar. Palestine Is Our Business. Philadelphia: Westminster, 1949. Print. Council on Foreign Relations. Web. 06 Apr. 2012. <http://www.foreignaffairs.com/articles/38470/john-c-campbell/israel-in-the-mind-of-america>. Canfield, Joseph M. The Incredible Scofield and His Book. Vallecito, CA: Ross House, 2004. Print. Christison, Kathleen. Perceptions of Palestine: Their Influence on U.S. Middle East Policy. First Paperback Printing ed. Berkeley, Calif: University of California, 2000. Print. Curtiss, Richard H., and Janet McMahon. Seeing the Light: Personal Encounters with the Middle East and Islam. Washington, D.C.: American Educational Trust, 1997. Print. Davidson, Lawrence. America’s Palestine: Popular and Official Perceptions from Balfour to Israeli Statehood. Gainesville (Fla.): University of Florida, 2001. Print. Davis, John Herbert. The Evasive Peace: A Study of the Zionist-Arab Problem. First American ed. [N.Y.]: New World, 1970. Print. Encyclopædia Britannica Inc., 2011. Web. <http://www.britannica.com/EBchecked/topic/592960/Dorothy-Thompson>. Esber, Rosemarie M. Under the Cover of War: The Zionist Expulsion of the Palestinians. Alexandria, VA: Arabicus & Media, 2008. Print. Eveland, Wilbur. 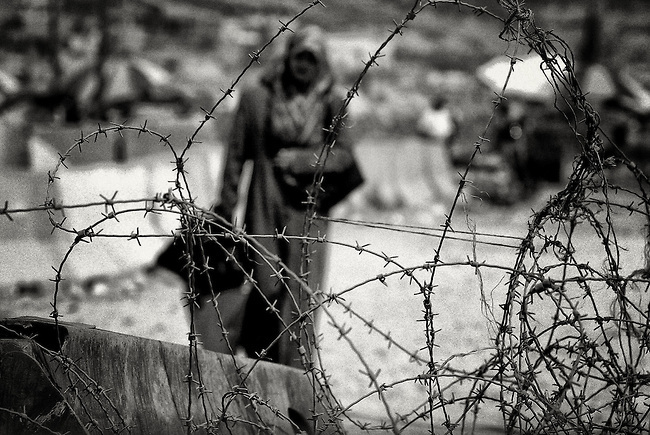 Ropes of Sand: America’s Failure in the Middle East. London: W.W. Norton, 1980. Print. Finkelstein, Norman G. Beyond Chutzpah: On the Misuse of Anti-semitism and the Abuse of History. Berkeley: University of California, 2005. Print. [London] 3 Aug. 1995: n. pag. Web. <http://www.independent.co.uk/news/people/obituaries-rabbi-baruch-korff-1594514.html>. Gildersleeve, Virginia Crocheron. Many a Good Crusade: Memoirs of. New York: Macmillan, 1955. Print. Ginsberg, Benjamin. The Fatal Embrace: Jews and the State. Chicago: University of Chicago, 1993. Print. Goldberg, Jonathan J. Jewish Power: Inside the American Jewish Establishment. Reading, Mass. [u.a. : Addison-Wesley, 1996. Print. Grady, Henry Francis, and John T. McNay. The Memoirs of Ambassador Henry F. Grady: From the Great War to the Cold War. Columbia, MO: University of Missouri, 2009. Print. Green, Stephen. Taking Sides, America’s Secret Relations with a Militant Israel. Brattleboro: Amana, 1988. Print. Grose, Peter. Israel in the Mind of America. New York: Knopf, 1984. Print. Gurock, Jeffrey S. American Zionism Mission and Politics. London: Routledge, 1998. Google Books. Hadawi, Sami. Bitter Harvest: Palestine between 1914-1979. New-York: Caravan, 1979. Print. “The Israel Lobby Archive.” Institute for Research: Middle Eastern Policy, n.d. Web. <http://irmep.org/ILA/default.asp>. “The Israel Lobby Archive.” N.p., n.d. Web. Web. 31 May 2012. <Link>. John, Robert, and Sami Hadawi. The Palestine Diary 1914-1945 Britain’s Involvement (Vol. I). Reprint of Third Ed. Charleston: BookSurge, 2006. Introduction by Arnold Toynbee. Print. Kauffman, Bill. Ain’t My America: The Long, Noble History of Antiwar Conservatism and Middle American Anti-imperialism. New York: Metropolitan, 2008. Print. Khalidi, Walid. All That Remains: The Palestinian Villages Occupied and Depopulated by Israel in 1948. Washington, DC: Institute for Palestine Studies, 1992. Print. Khalidi, Walid. “The Palestine Problem: An Overview.” Journal of Palestine Studies 21.1 (1991): 5-16. Print. Kolsky, Thomas A. Jews against Zionism: The American Council for Judaism, 1942-1948. Philadelphia: Temple UP, 1990. Print. Kurth, Peter. American Cassandra: The Life of Dorothy Thompson. Boston: Little, Brown, 1990. Print. Lilienthal, Alfred M. The Zionist Connection: What Price Peace? New York: Dodd, Mead, 1978. Print. Lilienthal, Alfred M. What Price Israel? 50th Anniversary ed. Haverford, PA: Infinity.com, 2004. Print. Maisel, Louis Sandy, Ira N. Forman, Donald Altschiller, and Charles Walker Bassett. Jews in American Politics. Lanham, MD: Rowman & Littlefield, 2004. Print. Martin, Dave. “Who Killed James Forrestal?” DC. N.p., n.d. Web. Martin, Dave. “Who Killed James Forrestal?” DCD. N.p., n.d. Web. N.p., 10 Nov. 20. Web. 17 June 2012. <http://www.dcdave.com/article4/021110.html>. Marton, Kati. A Death in Jerusalem. New York: Arcade, 1996. Print. McCarthy, Justin. The Population of Palestine: Population History and Statistics of the Late Ottoman Period and the Mandate. New York: Columbia UP, 1990. Print. McGowan, Daniel A., and Marc H. Ellis. Remembering Deir Yassin: The Future of Israel and Palestine. New York: Olive Branch, 1998. Print. N.p., 26 July 1974. Web. 21 July 2011. <http://www.trumanlibrary.org/oralhist/wright.htm>. Medoff, Rafael. “The Bergson Group vs. The Holocaust – and Jewish Leaders vs. Bergson.” The Jewish Press June 6 (2007): n. pag. Print. Menuhin, Moshe. The Decadence of Judaism in Our Time. Beirut: Institute for Palestine Studies, 1969. Print. Merkley, Paul Charles. Christian Attitudes towards the State of Israel. Montreal: McGill-Queen’s UP, 2001. Print. Mulhall, John W., CSP. America and the Founding of Israel: an Investigation of the Morality of America’s Role. Los Angeles: Deshon, 1995. Print. Naeim, Gilad. “The Jews of Iraq.” The Link April-May (1998): n. pag. Print. Neff, Donald. Fallen Pillars: U.S. Policy towards Palestine and Israel since 1945. Reprint ed. Washington D.C.: Institute for Palestine Studies, 2002. Print. Neff, Donald. Fifty Years of Israel. Washington, D.C.: American Educational Trust, 2000. Print. Nur, Masalha. Expulsion of the Palestinians: The Concept of “transfer” in Zionist Political Thought, 1882-1948. Fourth ed. Washington, DC: Inst. for Palestine Studies, 2001. Print. Pappé, Ilan. The Ethnic Cleansing of Palestine. Oxford: Oneworld, 2007. Print. N.p., n.d. Web. 06 Apr. 2012. <http://findingaids.princeton.edu/getEad?eadid=MC227>. Qumsiyeh, Mazin B. Sharing the Land of Canaan: Human Rights and the Israeli-Palestinian Struggle. London: Pluto, 2004. Print. 29 May 1975: 12. Web. <http://news.google.com/newspapers?nid=1876&dat=19750529&id=f5QeAAAAIBAJ&sjid=HcwEAAAAIBAJ&pg=7086,5202171>. Reynier, Jacques De. A Jerusalem, Un Drapeau Flottait Sur La Ligne De Feu. Neuchâtel: Editions De La Baconière, 1950. Print. Rubinstein, William D. The Myth of Rescue: Why the Democracies Could Not Have Saved More Jews from the Nazis. London: Routledge, 1997. Print. Rubinstein, William D. “The Secret of Leopold Amery.” History Today 49.Feb (1999): n. pag. Print. Said, Edward W., and Christopher Hitchens. Blaming the Victims: Spurious Scholarship and the Palestinian Question. London: Verso, 1988. Print. Sanders, Marion K. Dorothy Thompson: A Legend in Her Time. New York: Avon, 1974. Print. N.p., 1950. Web. 09 July 2011. <http://www.youtube.com/watch?v=lQ6lIsl-pHU>. Sarna, Jonathan D., Ellen Smith, and Scott-Martin Kosofsky. The Jews of Boston. New Haven, CT: Yale UP, Combined Jewish Philanthropies of Greater Boston, 2005. Print. Schmidt, Sarah. “The Parushim: A Secret Episode in American Zionist History.” American Jewish Historical Quarterly 65.Dec (1975): 121-39. Print. N.p., n.d. Web. 18 June 2012. <http://www.jewishvirtuallibrary.org/jsource/History/folke.html>. Shahak, Israël, and Norton Mezvinsky. Jewish Fundamentalism in Israel. London: Pluto, 1999. Print. Shahak, Israel. Jewish History, Jewish Religion: the Weight of Three Thousand Years. London [etc]. : Pluto, 1997. Print. Sheean, Vincent. Dorothy and Red. Greenwich, CT: Fawcett Publications, 1964. Print. Sheean, Vincent. Personal History. Garden City, NY: Doubleday, Doran & Comapany, 1935. Print. Slater, Leonard. The Pledge. New York: Simon and Schuster, 1970. Print. Smith, Grant F. Declassified Deceptions: The Secret History of Isaiah L. Kenen and the Rise of the American Israel Public Affairs Committee (AIPAC). Washington, D.C.: Institute for Research: Middle Eastern Policy, 2007. Print. Snetsinger, John. Truman, the Jewish Vote, and the Creation of Israël. Stanford Calif.: Stanford Univ., 1974. Print. Stevens, Richard P. American Zionism and U.S. Foreign Policy, 1942-1947. Reprinted by the Institute for Palestine Studies, 1970. New York: Pageant, 1962. Print. Strindberg, Anders. “Forgotten Christians.” American Conservative May 24 (2004): n. pag. Print. Supplement to Survey of Palestine Notes Compiled for the Information of the United Nations Special Committee on Palestine. Washington, D.C.: Inst. of Palestine Studies, 1991. Print. A Survey of Palestine. Prepared in December 1945 and January 1946 for the Information of the Anglo-American Committee of Inquiry, by the British Mandatory Commission, 1946. Washington, D.C.: Institute for Palestine Studies, 1991. Two volumes. Print. N.p., n.d. Web. July 2011. <http://www.ravkooktorah.org/timeline.htm>. Tivnan, Edward. The Lobby: Jewish Political Power and American Foreign Policy. New York: Simon and Schuster, 1987. Print. N.p., n.d. Web. July 2011. <http://www.trumanlibrary.org/oralhist/wright.htm>. [Lima, Ohio] 8 Sept. 1947: 1. Web. <http://newspaperarchive.com/lima-news/1947-09-08?tag=korff,york,denied&rtserp=tags/korff,york,denied?py=1947>. Urofsky, Melvin Irving. We Are One: American Jewry and Israel. Garden City, N.Y: Anchor/Doubleday, 1978. Print. March 17 (2011): n. pag. Web. <http://ifamericansknew.org/media/sacbee.html>. Wilson, Evan M. Decision on Palestine: How the U.S. Came to Recognize Israel. Stanford, CA: Hoover Institution, Stanford University, 1979. Print. Wilson, Evan M. Jerusalem, Key to Peace,. Washington: Middle East Institute, 1970. Print. Wright, Edwin M. The Great Zionist Cover-up: A Study and Interpretation. Cleveland, OH: Northeast Ohio Committee on Middle East Understanding, 1975. Print. 10 Sept. 1947: n. pag. Web. <http://news.google.com/newspapers?nid=888&dat=19470910&id=8VtIAAAAIBAJ&sjid=3E4DAAAAIBAJ&pg=2421,4272387>. [London] 22 May 2003: n. pag. Web. 10 May 2012. <http://www.thetimes.co.uk/tto/news/uk/article1908776.ece>. Sometimes terrible people live long lives. Such is the case with Icchak Yezernitsky, a Russian-born racist, terrorist and eager ethnic cleanser who is better known to the world as former Israeli Prime Minister Yitzhak Shamir. Shamir died today, June 30, 2012, at a Tel Aviv nursing home from Alzheimer’s Disease at the ripe old age of 96. One can only wonder if he had forgotten all the war crimes he had committed. Neither Jewish morality nor Jewish tradition can be used to disallow terror as a means of war… We are very far from any moral hesitations when concerned with the national struggle. Shamir seemed to relish the opportunity to terrorize, murder and ethnically cleanse Palestine of its indigenous population in order to make room for the nascent state of Israel. The massacre of Deir Yassin in April 1948, during which over 100 unarmed villagers were murdered, was carried out by Zionist commandos of Shamir’s Lehi and Menachem Begin’s Irgun (of which Shamir was a former member). Following Israel’s unilateral declaration of independence in May 1948, the United Nations reassessed its approach to the partition of Palestine and appointed a mediator, Swedish diplomat Folke Bernadotte, to come up with new proposal while taking into account “the aspirations of the Jews, the political difficulties and differences of opinion of the Arab leaders, the strategic interests of Great Britain, the financial commitment of the United States and the Soviet Union, the outcome of the war, and finally the authority and prestige of the United Nations.” Notice that the rights of the indigenous Palestinians were not included in this mandate. The very next day, September 17, 1948, Bernadotte was assassinated in West Jerusalem by members of Lehi, acting on Shamir’s explicit orders. Shamir was a committed colonialist. Even when, in September 1991, U.S. President George H.W. Bush threatened to withhold “loan guarantees sought by Israel unless the Israeli Government, which has ignored all of his previous appeals to halt settlement-building in the occupied West Bank and Gaza Strip, freezes building activity,” Shamir never halted further colonization of Palestine. Despite Shamir’s history of despicable violence and willful abrogation of international law, Barack Obama’s press secretary Jay Carney released a statement on behalf of the White House at the news of Shamir’s death. 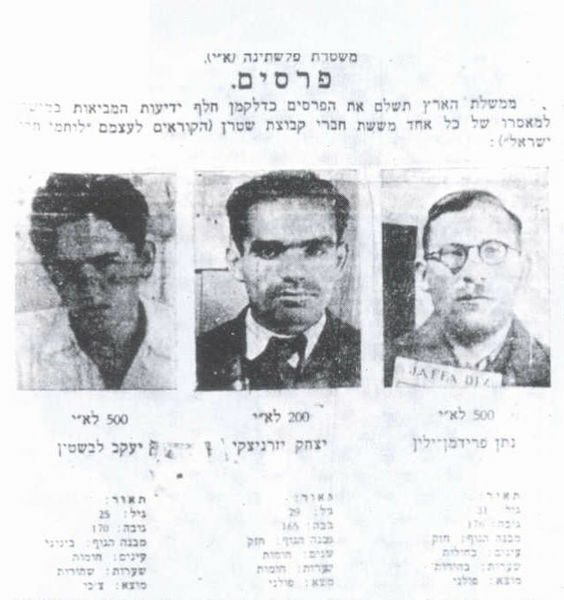 One should remind Netanyahu of Shamir’s proud justification of terrorism or perhaps simply note the words of the mayor of Tel Aviv under British Mandate, Israel Rokach, who in 1944 accused Shamir’s Zionist militia of “lacking even a spark of humanity and Jewish conscience” after Lehi gunmen murdered three British police officers in a public shooting. Shamir’s daughter, Gilada Diamant, claimed her father “belonged to a different generation of leaders, people with values and beliefs. I hope that we have more people like him in the future.” Certainly anyone who values human rights, justice, sovereignty, and self-determination for the Palestinian people, the rule of law, the Geneva Conventions, and the Nuremberg Principles does not share Diamant’s hope. 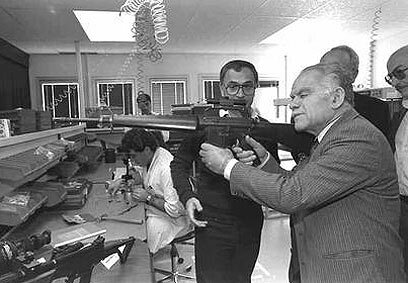 Thomas Friedman once wrote that Shamir “exemplifies those Israeli leaders whose vision of tomorrow is yesterday.” For all those whose innocent lives were obliterated or whose families suffered at the hands of Yitzhak Shamir due to his commitment to ethnosupremacism, colonialism and mass murder, any more visions of violence and bigotry that he may have had thankfully died today.